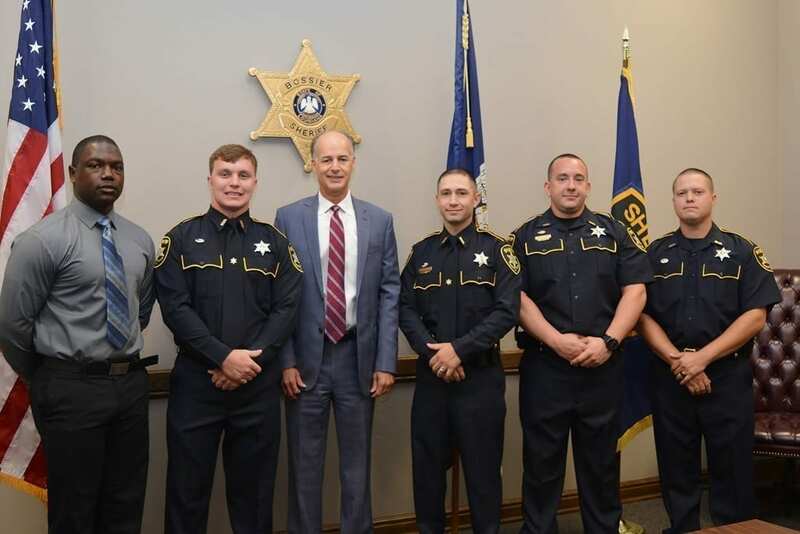 Bossier Sheriff Julian Whittington administered a swearing-in ceremony for five new deputies Monday…and there’s still room for others to join the ranks of the Bossier Sheriff’s Office. The process to become a member of the Bossier Sheriff’s Office team begins with signing up for a test with the Human Resources Department by calling (318) 965-3459. While deputy positions require applicants to be 21 years of age, the position of corrections officers only requires a person to be at least 18 years old.